I can hardly believe it. I’ve had no refined sugar in 5 days and I haven’t even missed it! And yes, I’m *still* pregnant. So what gives? 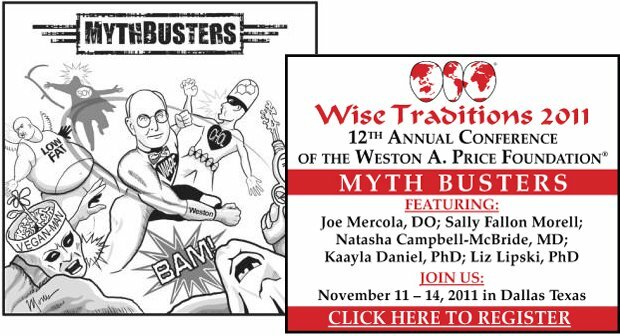 Last Friday, I flew to Dallas to attend the 12th annual Wise Traditions Conference, put on by the Weston A. Price foundation. This organization is a non-profit that disseminates the research of dentist and nutrition pioneer Weston A. Price, who studied the health and habits of isolated nonindustrialized Peoples around the world. Price found that the people who consumed nutrient-dense whole foods and plenty of saturated fats (e.g. animal fats, coconut oil, butter) had the best physical form and health. Degenerative diseases, like cancer, diabetes, heart disease, arthritis as well as dental problems like cavities and crooked, crowded teeth, were rare to non-existent in these populations, but all started to appear beginning with the first generation that became exposed to modern foods – especially sugar and flour. Thankfully, I arrived at the conference center just in time for lunch. I helped myself to a big bowl of texas-style beef chili. I also had a soft taco made with 100% coconut wraps and filled with shredded chicken, cheese, avocado and full fat sour cream. All of the animal and dairy products served at the conference came from animals raised on pasture, which had access to plenty of grass and sunshine. This is nothing like so-called “free range” products you buy at Whole Foods, which are not free range at all. On the contrary. These foods are produced by farmers who have nothing to hide and welcome you to visit their farms anytime. I still wanted something sweet after lunch, so I went to the sweetest thing I could find: oven-roasted apples topped with pecans and raisins, drizzled with maple syrup and orange juice. I know, that’s still sugar, but it’s not refined. It hit the spot! I washed all of this down with some Soothin’ Infusion Herbal Iced Tea. In between sessions, I strolled past the exhibitors and occasionally sampled their products: fish eggs, liverwurst, ghee, wild Alaskan salmon, lacto-fermented vegetables, Kombucha, fermented cod liver oil and drinkable fruit yogurts. I don’t know when the change happened, but once Sunday came along and I finished my brunch meal of egg casserole, cheeses, pork sausage, ham fried in lard and Kombucha, I was totally satisfied and didn’t even go back to see what sweet options were offered. I just grabbed a bag of raw almonds to take with me on the plane and headed to the airport. Once I got on the plane, I started to read my book (which I plan to review in an upcoming post – it’s from Joel Salatin and it’s called Folks, This Ain’t Normal). I brought a bag of raspberry leaf tea with me and asked the flight attendant for two cups of hot water. About an hour into the flight, I ate a few almonds, then continued reading. Just a short while after, and to my surprise, we were suddenly landing in Washington. Where did the time go!?!? And how did I possibly read my book for 3 hours straight?? (Some of you may find this no big deal, but I rarely ever read for more than 30 minutes at a time). The most shocking thing of all was that when I got home at 9pm eastern, more than 7 hours after my last meal, I wasn’t really hungry. Sure, I could eat my dinner, but I wasn’t starving like I thought I would be. Now that 3 days have gone by since my return, I’m trying to figure out why my sweet tooth has disappeared. 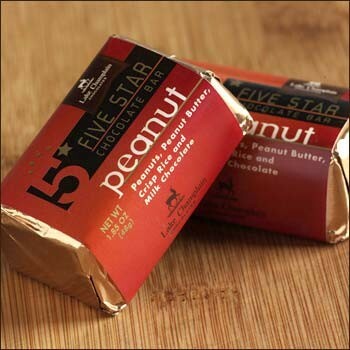 There’s a Lake Champlain Chocolate and Peanut Butter Bar sitting in the pantry staring at me, yet I’m not interested! I even went to Arrowine yesterday and passed on the Jeni’s Chocolate Ice Cream. (Yes, I know $12/pint sounds ridiculous, but you’d understand if you ever tasted it!). Is it because this high fat diet was so satisfying? I mean, I eat plenty of fat at home, but maybe not as much as at the conference. Maybe it was all of the organ meats I ate, which I confess I don’t eat enough of at home. Or was it because food was always available, so I never let myself get hungry? I don’t think it was the cheese because I usually eat plenty and actually they served far less dairy than at last year’s conference, since Texas’ raw dairy laws are more stringent than Pennsylvania’s (that’s where last year’s conference was held). 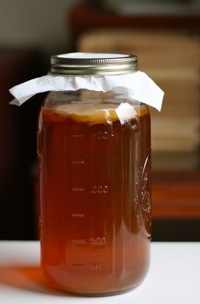 Maybe it was the probiotics in the fermented foods and kombucha, which crowded out the sugar-loving microflora that was in my gut when I arrived and replaced it with healthier microflora. It might have also been partly psychological. As expected, I heard many lectures on the dangers of refined sugars and starches. I also met a ton of healthy, happy, naturally beautiful people at the conference who follow Weston A. Price diet principles more closely than I. The women in particular shared story after story of their trouble-free pregnancies, lack of fertility problems, easy (natural) births and plentiful breast-milk production – something I’m worrying a lot about given how many of my friends have struggled with this. I don’t know how long I’ll be able to keep this up. Especially since Thanksgiving is next week and I specifically requested pumpkin pie for dessert, so it would be impolite to not eat it. Will one slice set me back? If so, can I “reboot” my system on my own with a day or two of eating like I did at the conference? Or will my upcoming business trips make this impossible? I don’t know, but I still think it was pretty awesome to witness this rapid transformation of my own body. I’m curious if others have had similar experiences losing their sugar cravings. That’s amazing! When I went on the GAPS intro diet I lost my cravings after about 2 days. Once I started back with grains I seemed to start craving sweet things again. Then I craved more and more….it’s a vicious cycle. I really don’t think your experience was psychological 🙂 Just my two cents! Interesting…so it’s not just refined sugar, it’s flour too. BTW, Natascha Campbell-McBride, GAPS diet author/creator, spoke at the conference. You might consider attending next year. Many people in the audience shared stories of success with the diet. I’ve been able to have the occasional sugary treat without it putting me back to square one with the cravings again. I keep reminding myself that this is a change that I want to stay with for my lifetime so I need to manage it in a way that works for ME. Hope you have a wonderful Thanksgiving! I enjoyed your blog entry. Here’s mine about cutting out the sugar. Thanks for the feedback Nancy. Great post too. I think it’s fantastic that you worked on your sugar cravings even after being diagnosed with a condition that makes it harder for you than the average person. Apparently you’re right about still being able to occasionally have sweets/starches, because I’ve indulged a bit (pumpkin pie and some heavy starchy foods occasionally) and I’m still able to avoid sweets, no problem, and it’s been 3 weeks! I finally gave that Lake Champlain chocolate away, without any regrets. Let’s hope we can both keep it up! I think it’s mainly a matter of getting off the sugar carousel. Thanks Ruth. Since my post, I actually had some pumpkin pie at Thanksgiving, as well as a few semi-sweet and starchy things (cranberries & bread stuffing with the Thanksgiving meal, pasta, rice, chestnuts), which I thought would set me back, but it didn’t! I just checked the date and it’s been 3 weeks. I wish you success with GAPS. I started a mini-juice cleanse (w/ little sugar in the juices, mostly all low sugar veggies) and had the same experience. After drinking fresh vegetable juice for two days, I was not only hardly ever hungry, but no sugar cravings. Also consider the addictive properties of sugar, just being off refined sugar for several days will ease symptoms of withdrawal and urges for the addictive substance. Very interesting story! I have been complaining to my doctor that I have not been able to lose the last 15 lbs of my pregnancy weight. He gave me a 7-day sugar detox plan which consists of natuarlly fatty foods like whole nuts and meat/seafood, plus other things that you were listing above like teas and natural sugar items, such as fruit. One of the main staples of this plan is mixing whey powder into some of my meals. I am not sure if that is going to help though… do you know much about whey powder? I will start the detox this weekend and hope it helps eliminate my sugar dependencies! Camille, sugar detox combined with fat supplementation sounds great. My husband just commented that since he’s been at home the last few weeks, his fat consumption is much higher than when he travels, yet he’s lost weight pretty consistently over this period. I’m about to post a recipe for clarified butter, a nice source of fat, but two of my favorites are beef fat (you can order from US Wellness Meats) and duck fat (try D’Artagnan). Try roasting or frying potatoes in it – yum! I’ve heard good things about whey, but I would be very cautious about taking it in powdered form. The proteins in whey power are very fragile and easily damaged by pasteurization, processing, etc. Plus, it’s so easy to make your own by just setting yogurt over a cloth-lined strainer for a few hours. Of course, if you just add yogurt to your diet, then you probably don’t need to worry about supplementing additional whey. In general, I believe that taking foods in their most natural, least industrially processed form is safest. Powdered whey is a relatively new invention, whereas yogurt and cheeses have been around for centuries. I am in the last five weeks of pregnancy number 3…this is the first pregnancy that has been “alternative” for me (fermented cod liver oil, no prenatal vitamins, LOTS of butter, leafy greens etc.) and I have completely LOST my sweet tooth. I was amazed, but contribute it to a whole and real foods lifestyle! I’m excited because I know just how well I am building my baby’s immune system and mine as well. I wish I would have known what I know now, back then. But such is life. This baby has really turned our lives around and is appropriately named “Ezra” (Hebrew for help).